Short Description: “The Great Lakes” is a name for five big lakes on the border of the United States and Canada. The Great Lakes include Superior, Huron, Michigan, Ontario, and Erie. 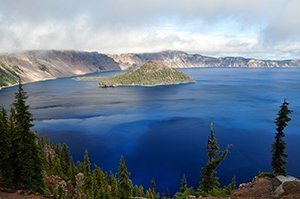 These five lakes make up 20% of the freshwater surface on the planet at 6 quadrillion gallons! Just to get a size of this, the area of the Great lakes are 246,463 square kilometers! Surprisingly, there is enough fresh water in Lake Superior to submerge all of North and South America in 1 foot of water. Jim Dreyer swam across Lake Michigan in 1998, which was around 105 km. In 2003, he swam the length of Lake Michigan, which had turned to a whopping 679 km! 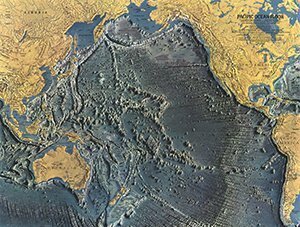 Short Description: The Pacific Ocean is a large body of saltwater bordered by the American continents, Asia, and Australia. It is the largest ocean in the world. The area of this vast ocean is 161.8 million square km. This ocean represents approximately 50% of the world’s oceanic water! The name ‘Pacific’ originates from the Latin word ‘pace’, meaning peace. Ferdinand Magellan, a Portuguese explorer, named the ocean ‘mar pacifo’ in the 1520s. The name meant peaceful sea. The longest reef in the world is the Great Barrier Reef located in the Pacific Ocean off Australia’s coast. 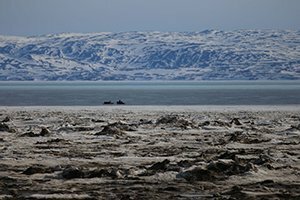 Short Description: The Low Arctic Tundra is in Canada. This region is an excellent habitat for waterfowl as many species of birds depend on these habitats. The word ‘tundra’ comes from the Finnish word tunturia which means treeless land. This biome is said to be the driest place on earth with an average rainfall of ten inches a year! 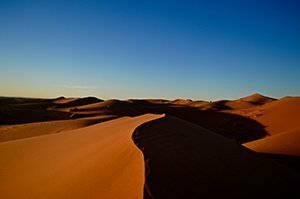 Short Description: The Sahara Desert is the largest hot desert and also the third largest desert in the world – coming in just after Antarctica and the Arctic. It is roughly 9.2 million square km. This vast area is comparable to the area of the United States! The Sahara is located in much of North Africa and stretches from the Red Sea in the east to the Atlantic Ocean in the west. Sahara means ‘The Greatest Desert’ in Arabic. Most rivers or streams are seasonal. The well-known exception is the Nile River. Short Description: The Amazon Rainforest is a moist place that covers 7 million square km. The majority of this huge forest is in Brazil. Brazil contains 60% of the rainforest, Peru has 13%, Columbia has 10%, and minor amounts in other countries. 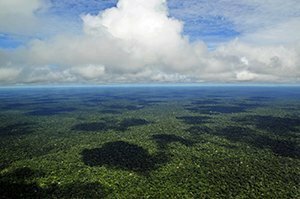 It is estimated that 390 billion trees are in the Amazon Rainforest. Additionally, this large number of trees is divided into 16,000 different species. The Amazon Rainforest accounts for more than half of the rainforests remaining on the entire Earth. There are 205 bird species in the Amazon Rainforest. Short Description: The seasons in the African Savanna can be divided into two different seasons – dry (winter) and wet (summer.) The dry season lasts from October through march and is very dry with only about 4 inches of rainfall the entire season. The wet season is extremely different. Between 15 and 25 inches of rainfall on the savannas during this time. 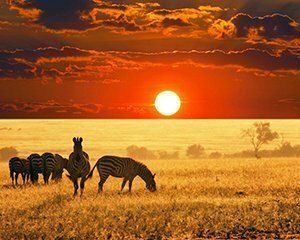 Almost half of Africa is considered a savanna. The organisms living in this biome need to adapt to the climate because there is a long dry season. Some plants store water in their roots and extend their roots deep underground to recover water.